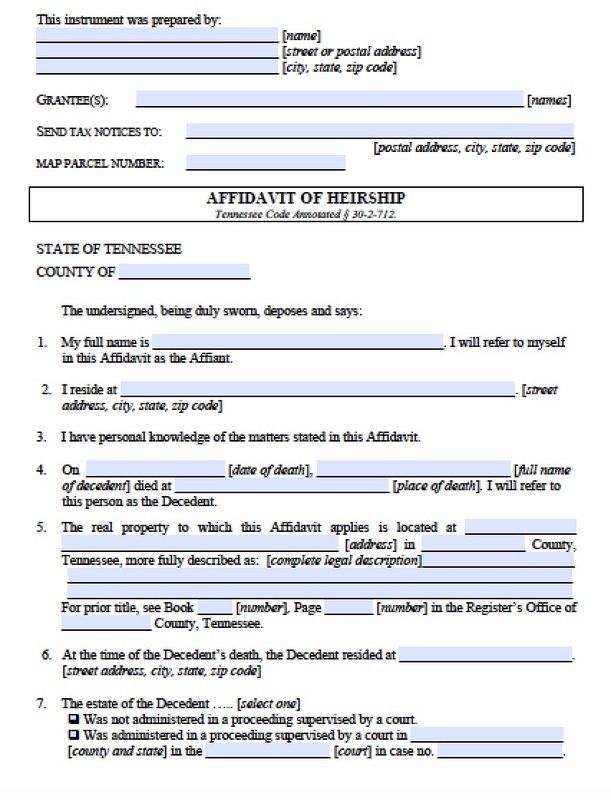 The Tennessee small estate affidavit allows successors, including creditors with evidence of the decedent’s debts, to avoid probate court and collect the decedent’s real estate and distribute it among the heirs or creditors. The value of the real estate property, including homes and land, may not exceed $25,000, and successors must wait 45 days after the loved one’s passing to file the small estate affidavit. The successors must also appoint an affiant to administer the estate – this includes cataloguing the value of the property, protecting it, and distributing or selling it per the wishes of the decedent and/or the heirs. This small estate law is governed under statute Tenn. Code Ann. §§ 30-4-102 and following. 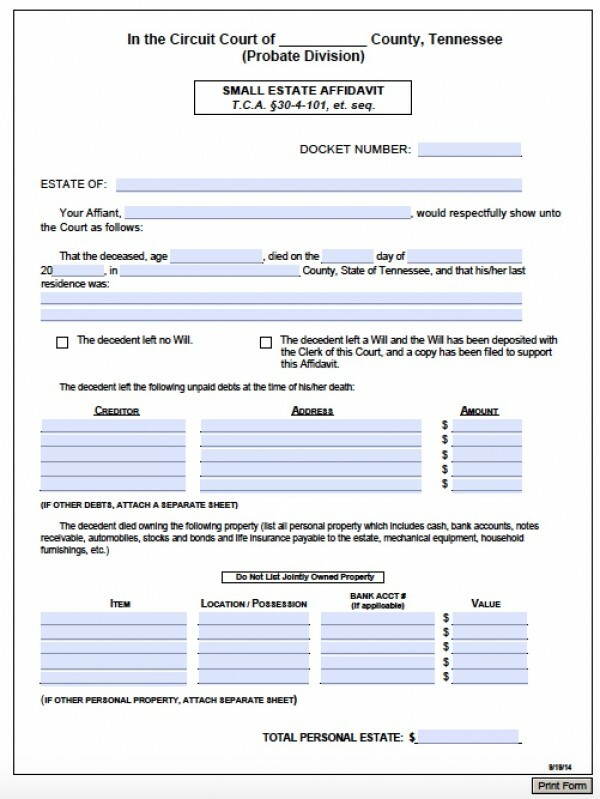 Shelby County – For residents/decedents of Shelby County, this form must be used. Step 1 – Download in Adobe PDF or Microsoft Word (.doc). 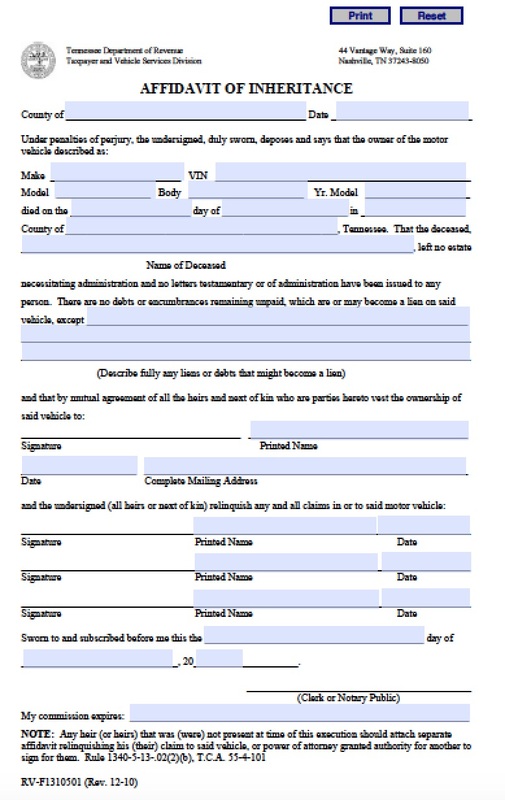 Step 3 – File the form with a copy of the death certificate to the proper clerk or courthouse.